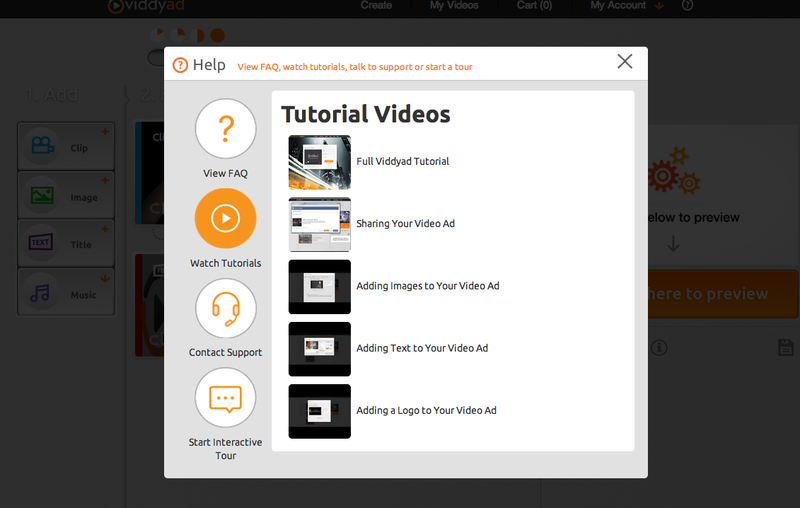 In the last few days we’ve added some helpful tools to our video editor to give you everything you need when making your video ad. 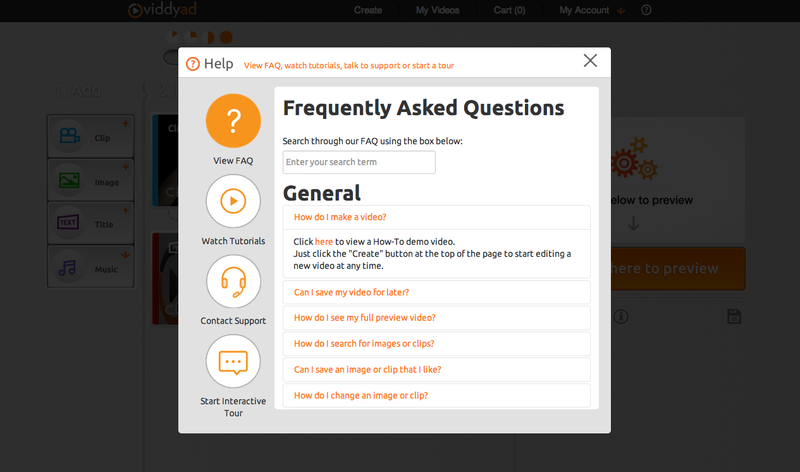 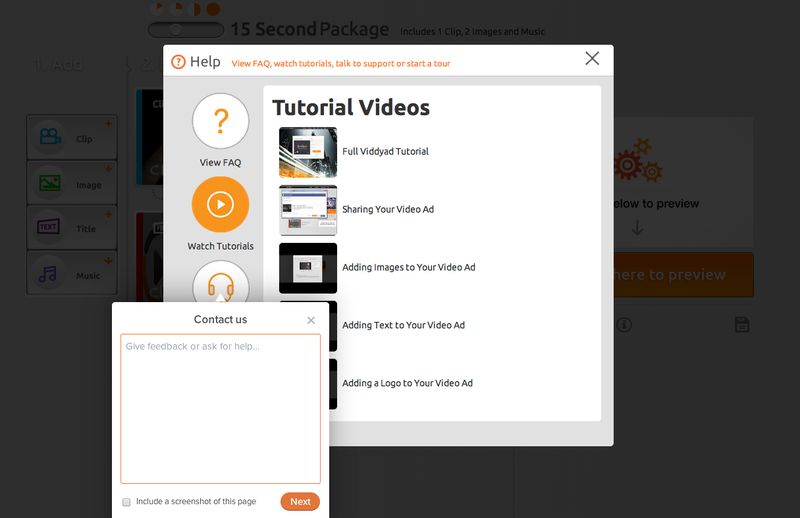 Now users will have access in the editor to an FAQ, video tutorials, chat support and an interactive tour. 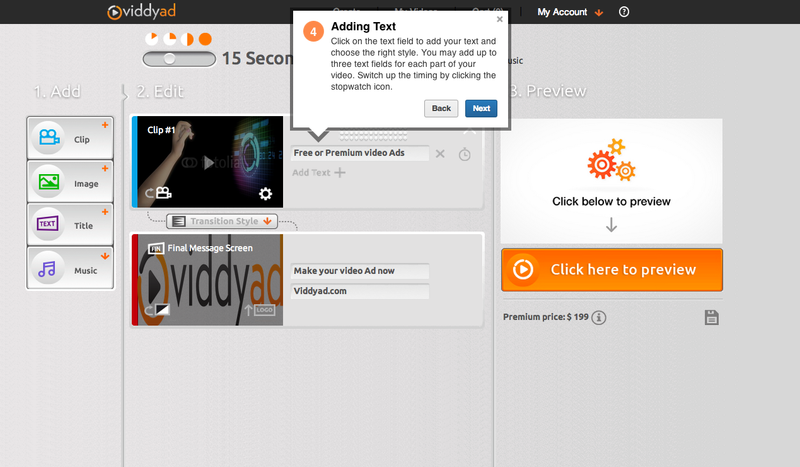 In the video editor, click the icon (top right) and the help menu will pop up – see it in action below.